Description: Sheets are 8.5″ x 11″ inches in size. 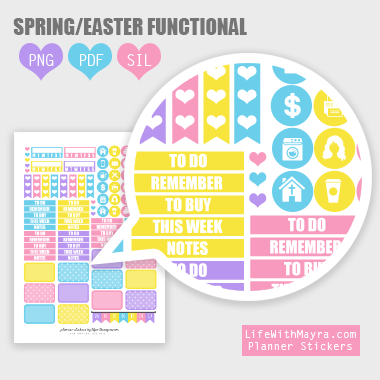 These are for The Happy Planner but can be used for other planners as well. You have the option of downloading these files in .PNG, .PDF or .Studio3 for the Silhouette Studio. These are for personal use only. If you would like to share these printables please link directly to this printable page, not to the printable file itself and provide a full credit link. Remember to tag me on instagram @lifewithmayra if you post your spreads.